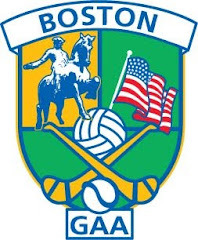 Boston Shamrocks are now just one win away from retaining the Boston Northeast Ladies Senior Football Championship. The reigning champions had to work harder for this win than last time out, and but for a fortunate goal early in the second half, it would have been a much closer affair. Connacht will take solace from their much improved performance and have something to build on heading into the third game between the teams, a game they have to win to keep the championship alive. Boston Shamrocks are one game away. The Shamrocks built an early lead and in the first 15 minutes had the edge in pretty much every area of the field. The back line was first to every ball, while the forwards were quick and agile, and kept the pressure on the Connacht Ladies back line. After Jane Ward had opened the account for Connacht Ladies with a point, it was all Shamrocks. Four points came from Shelly Toohig, Sarah Jane McDonald, Ciara McGuigan, and Shannon Mullen as every forward was involved in Shamrocks forays forward. The Shamrocks bombarded the Connacht goal, and there were plenty of chances that dropped short or went the outside of the posts before McDonald netted from an acute angle. A lead of 1-4 to 0-1 could have been more. After the Shamrocks tagged another three points following some good work in defence from Cathy McEleaney, Connacht Ladies enjoyed a spell on top and perhaps realized that they could compete with their opponents. The defence worked hard to put a stop to the Shamrocks rampant forward line. Hayley Kilgallen, Niamh Sheridan, Catherine Boyle and Aisling Egan stepped in on several occasions to cut out some Shamrocks attacks. The good work was rewarded with a goal from Jane Ward after Shauna Garvin supplied the final pass. Additional points from Kelly Harris, who looked a major threat, cut the gap between the teams to four points. Just before the break Eaodain Connolly’s point made it a 1-8 to 1-3 score. A goal 10 minutes into the second half knocked the wind out of the Connacht efforts. The Shamrocks had added to lead to the tune of 2 points. With the challengers having lifted their efforts to try and further cut the gap, a handful of misses was the end result for them. The Shamrocks won a free about 35 yards from goal and the high, arcing ball, dropped into the back of the net. This was followed by another 3 pointer from a penalty. McDonald was pulled down in the box as she bore down on goal and the kick was effectively dispatched by McGuigan. In credit to the westerners, they responded with raising their efforts again. This time it was a four point brace with Harris showing well at corner forward. Connacht’s Aisling Kerr, Harris, and Ward pointed. A goal – or two – would be needed to rattle the Shamrocks heading into the final 10 minutes, but Sinead Hession was steady on the line for the Shamrocks. Some searching balls into the box were well dealt with by the keeper. A late goal Harris for Connacht was deserved for their efforts, and put some gloss on the scoreboard, but will give encouragement to try and take a game in this series next time out. Shamrocks: Sinead Hession, Cathy McElaeney, Ciara McCormack, Louise Kiernan, Kayla Farrer, Nicole Byrne, Jade O’Donnell, Shannon Mullen, Shelly Toohig, Laura Kiernan, Eoadain Connolly, Ellie Kennedy, Sarah Jane McDonald, Ciara McGuigan, Rebecca Mongan. Connacht: Jackie McDonagh, Shannon Mullen, Honor Ennis, Hayley Kilgallen, Catherine Boyle, Niamh Sheridan, Niamh Hynes, Aisling Egan, Aideen Fuller, Shauna Garvin, Maria Kelly, Jane Ward, Kelly Harris, Ellie Lane, Siofra Cleary.